Improves home security and saves energy. 1 minute switching intervals. 8-20 on/off cycles per day. 1 minute to 7-day range setting. Rechargeable Ni-Cd battery. 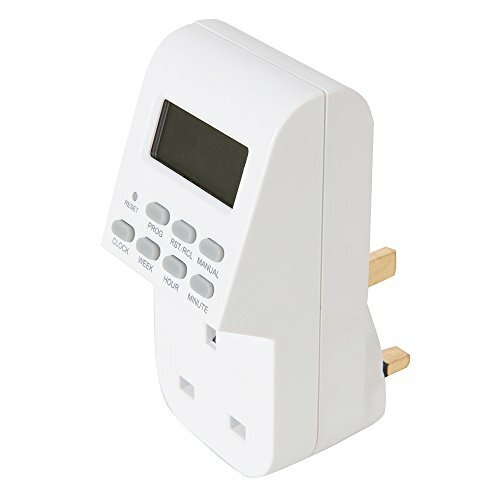 13A rating controlling loads up to 3kW. Manual override switch.